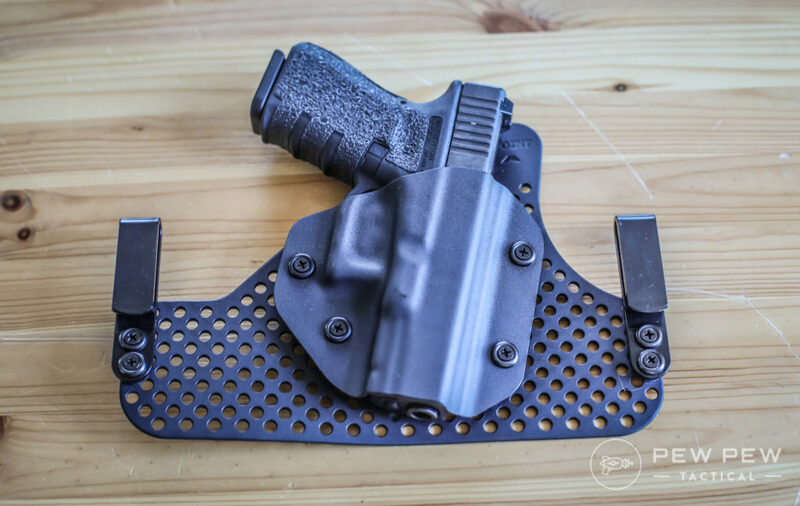 Looking for a simple kydex holster that conceals well and is pretty comfortable? Concealment Express might be the key. They are affordable, super light, and get the job done with a variety of attachment options. I’ll cover how they conceal and ease of draw with my G19 (compact 9mm) and G26 (sub-compact 9mm). 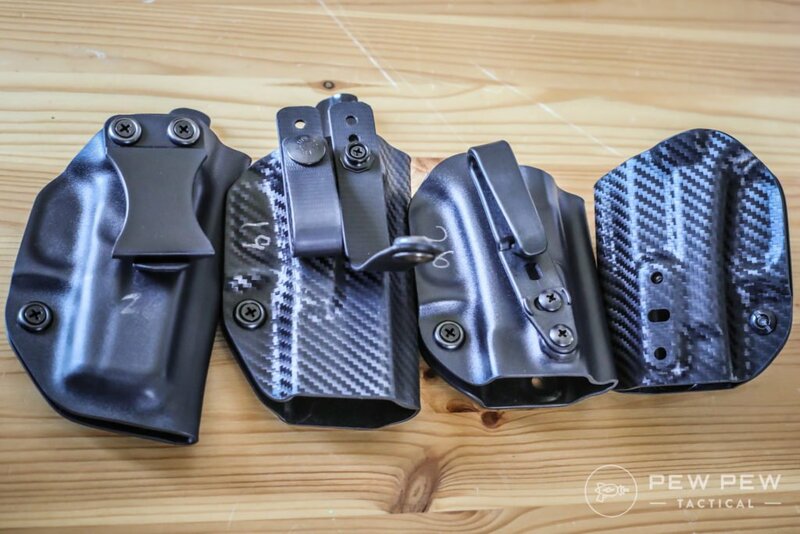 Concealment Express sent me a couple kydex holsters to me for my unbiased review. 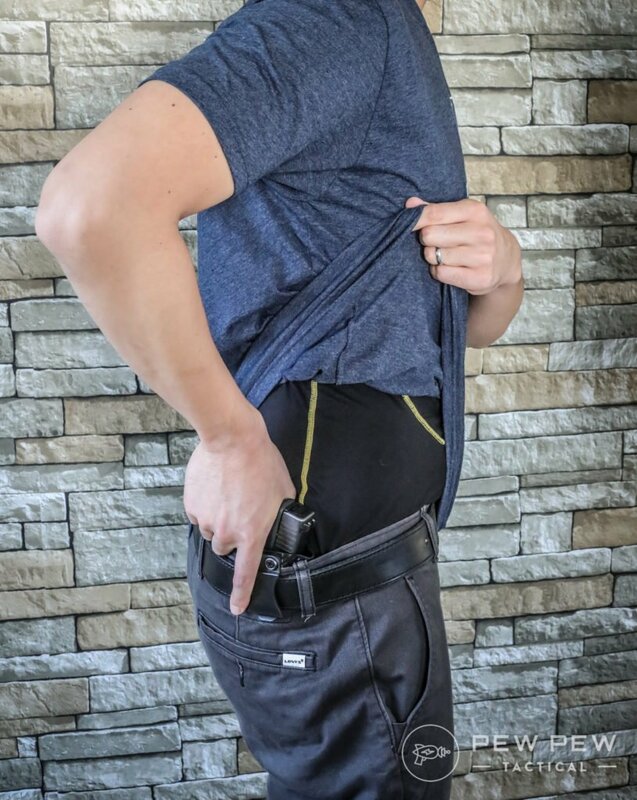 I’d say they are great for a beginner inside waistband (IWB) carry holster that doesn’t break the bank. Plus they have stellar reviews on Amazon. 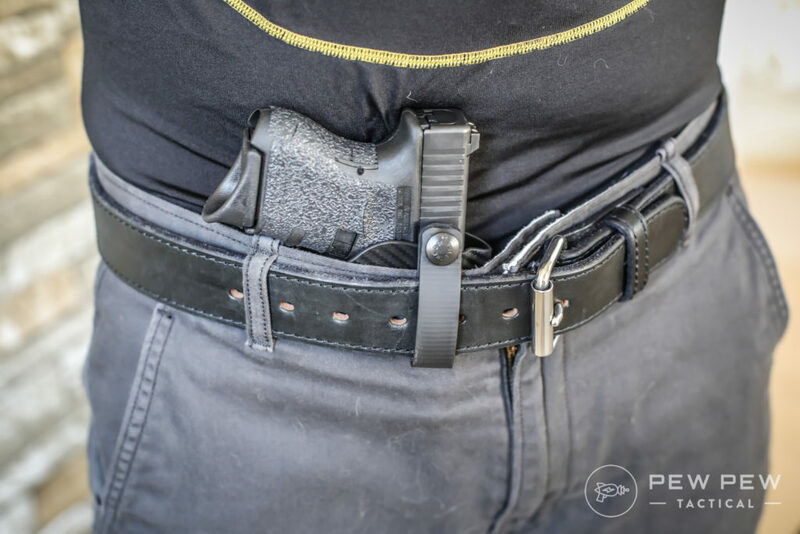 They especially shine in appendix inside waistband (AIWB) carry since the kydex is thin and the entire holster weighs less than 3 oz for the G19 (larger) one. The sub-compact G26 is short but still a little thick compared to single stack 9mms. However, it was easy to conceal AIWB. The cut of the kydex allows me to get a good high grip during my draw. The standard belt clip is effective and I never ended up accidentally pulling the entire holster out. Comfort is pretty good (even sitting) since there’s just a little kydex sticking up above the slide and the grip is small enough that it doesn’t dig into my stomach. The larger (but still compact) G19 is my go-to carry gun and one of my Best Handguns for Beginners. It’s a little larger in barrel length and grip compared to the G26. 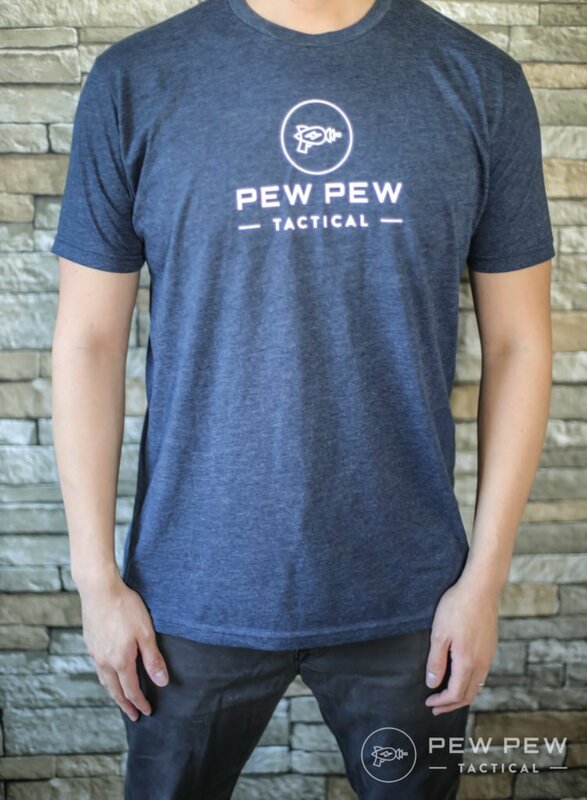 I’d say it conceals just as well as the G26 even with a semi-fitted t-shirt. The draw is maintained as well. It was less comfy than the G26 since for the G19 the raised kydex against my skin can dig into my flubs especially when sitting. But nothing too bad. Now how about using the holster at a 4 or 5 O’Clock position? I can’t tell it’s there either. How about the draw? Again, I get a full grip, but because of the position, it’s a little slower than AIWB. 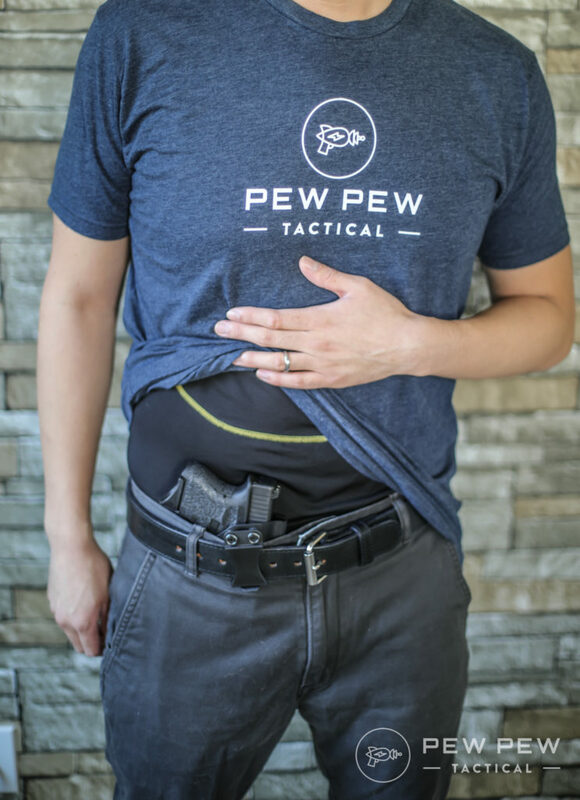 Normally when I 4 O’Clock, I like having a holster with a backer (Best Concealed Carry Holsters), so it’s not as annoying when sitting against a chair. 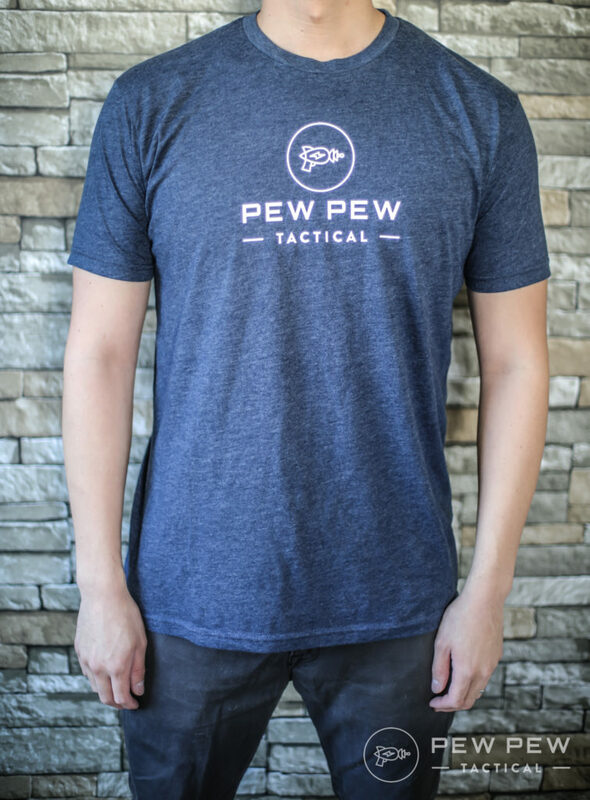 You’ll feel your gun with the Concealment Express. But you save a lot of weight and potential sweatiness. 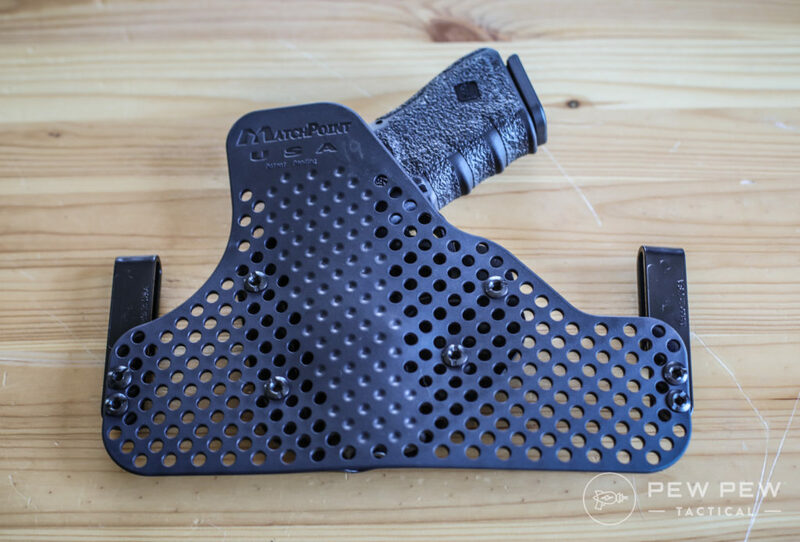 Concealment Express also sent me a backer-styled holster called MatchPoint. It looks to be a modular system built on flexible rubber instead of neoprene or leather of others. 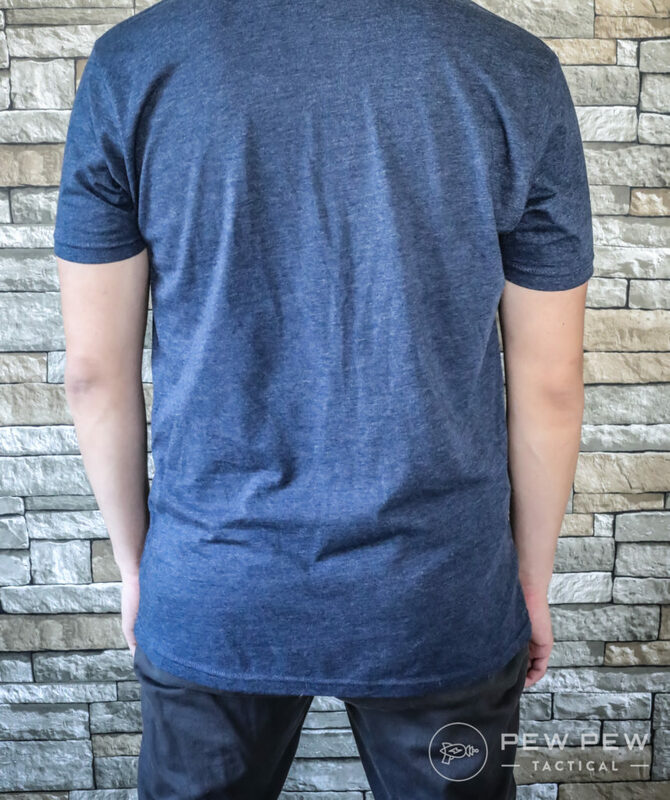 I didn’t like the exposed attachment points on the back since I can see it causing some discomfort. But I had a deal-breaker situation with not being able to get a high grip and proper strong hand thumb placement due to the rubber cut and inability to get between the backer and the gun when drawing. 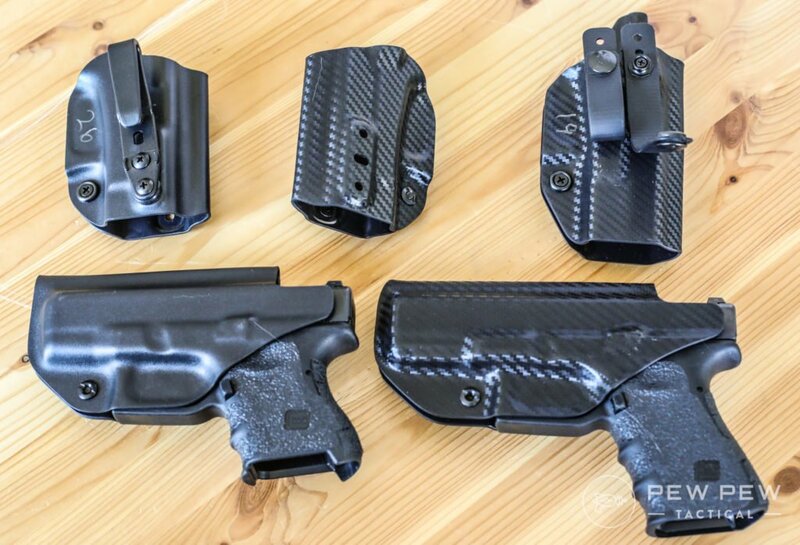 Concealment Express has several ways to attach your holster. The one on the left is the standard one which worked great for me with a 1.5″ belt. 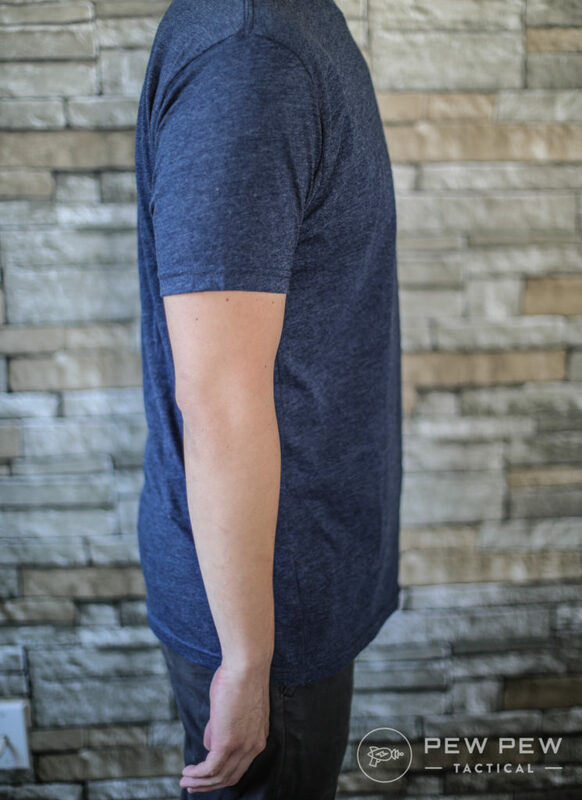 There’s belt loops that let you change the width of the loop to fit your belt. It gives a much more secure way to carry. 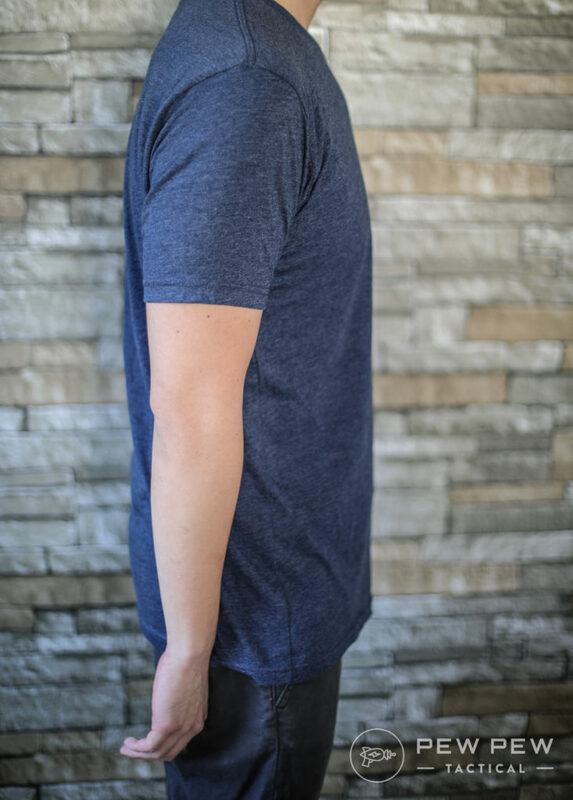 But it’s almost impossible to put on and off with your fingers…I had to press down on the table to get them on…and use a screwdriver to remove them. Which means they are doing their job of being super secure. Just know that you’ll have to take off your belt to get them off. There’s also the option of a clip that allow for easy cant adjustment. And also adjustment to left-handed draw by moving the clip to the other side. I didn’t like this as much since the clip adds extra width to everything overall. And you can already change the cant of the original belt clip. You’ll also be buying the original with right and left hand options…so unless you’re ambidextrous it doesn’t make that much sense. 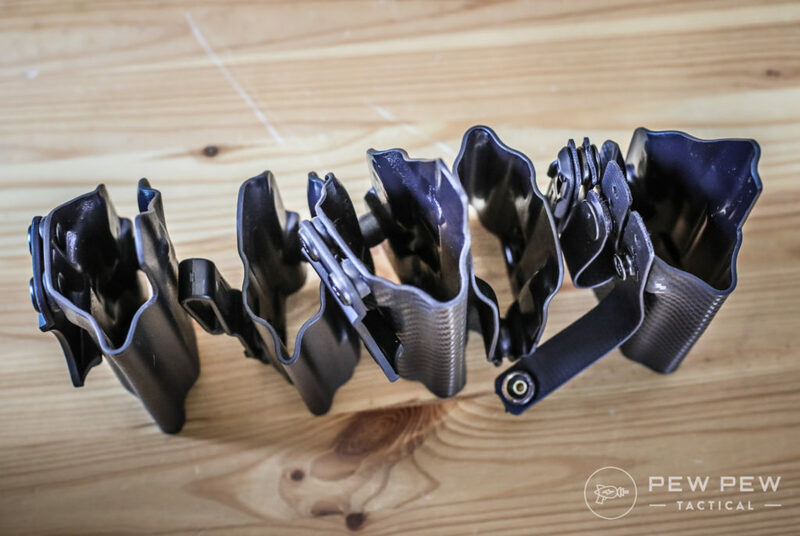 There’s one big thing that you should be aware of…the holsters don’t cover the magazine release. I didn’t have my magazine get released during testing…but note that it could still happen. 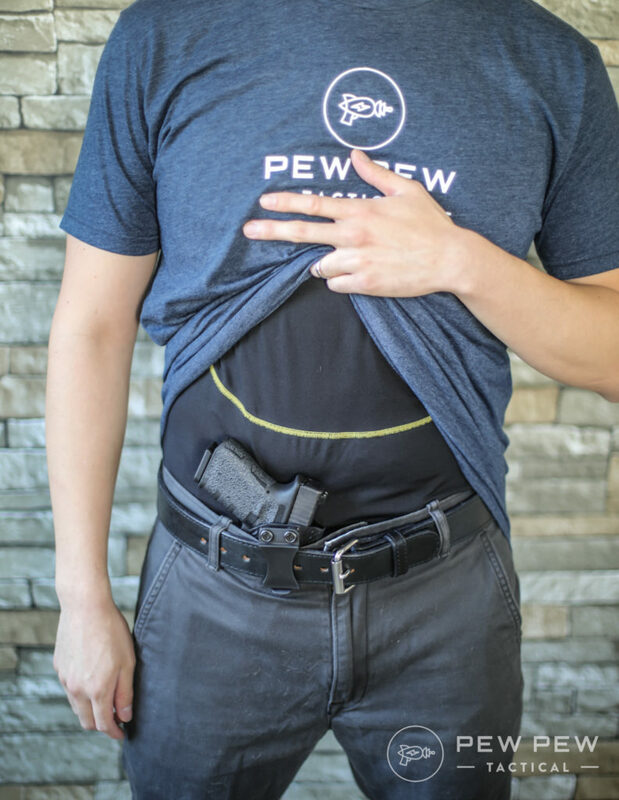 Concealment Express kydex holsters are a great entry in simple yet effective IWB options. 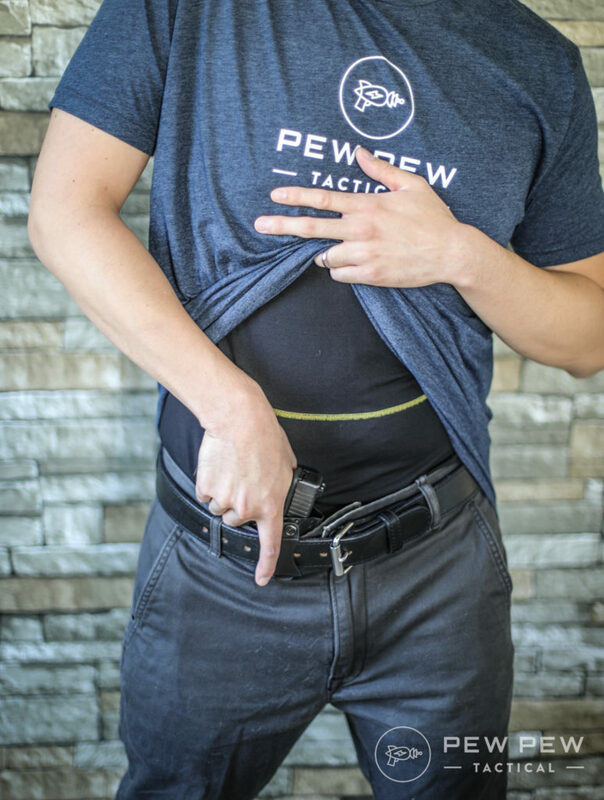 The regular belt clips work, cant is adjustable, appendix carry is comfortable, and the price is right. 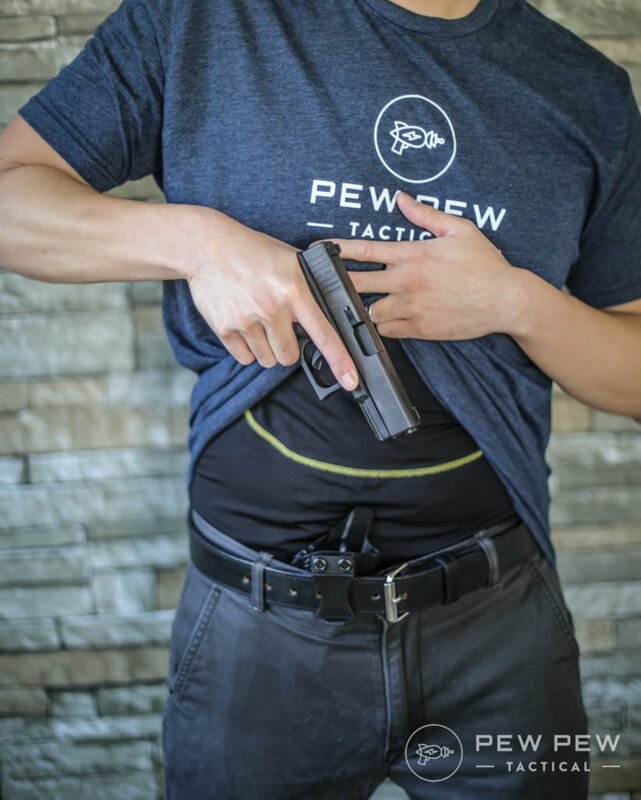 And of course…they conceal well and the kydex holsters give you a good high draw. 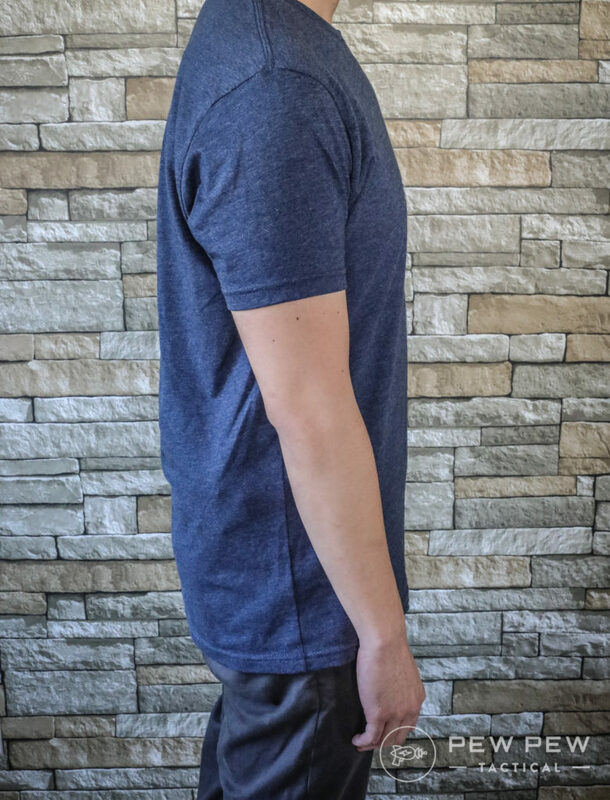 Have you had experience with Concealment Express? Let us know in the comments! 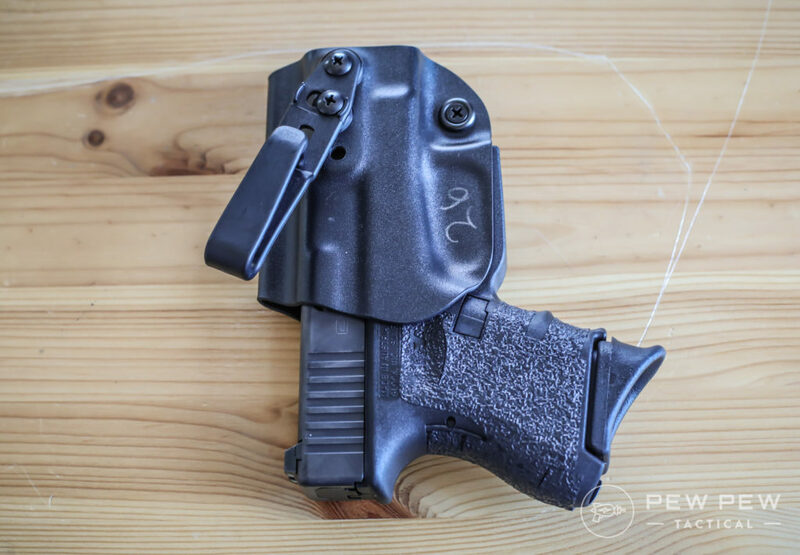 And if you’re looking for other options, check out our Best Concealed Carry Holsters article. Hi Eric, I know this is an old post but I have an additional thought. 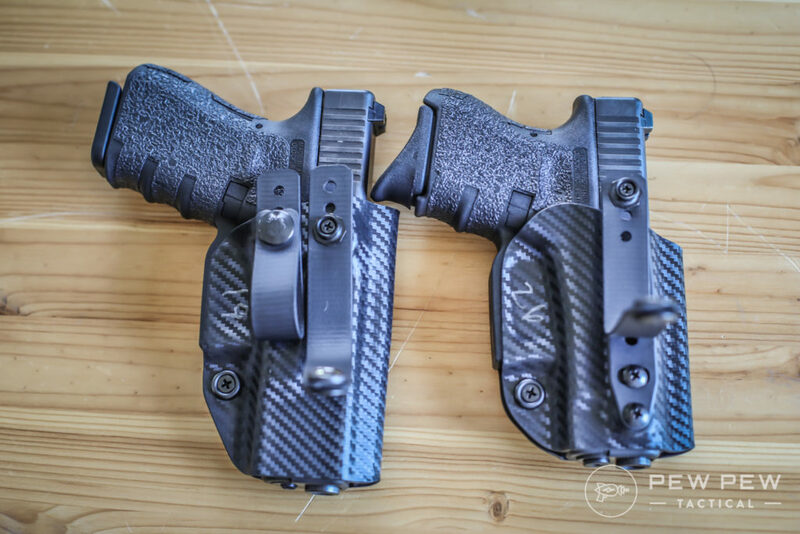 I have two IWB Concealment Express holsters, one for my Sig P320 compact and one for my HK VP9sk. The holster does not cover the mag release on the Sig but the HK had trigger guard mag releases that are entirely covered. Thanks John, that’s good to know! 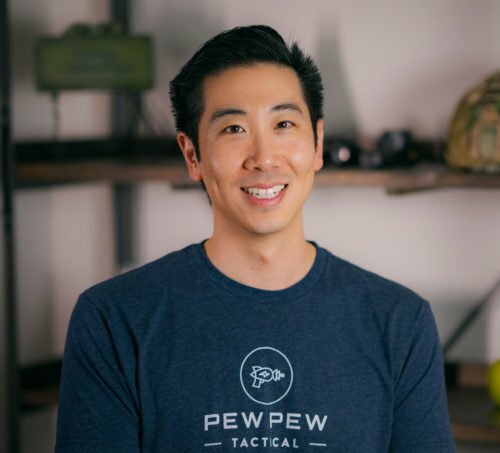 From what I can tell about the holster with the backer on it is one could move the shell up and over (or maybe adjust the cant as well?) 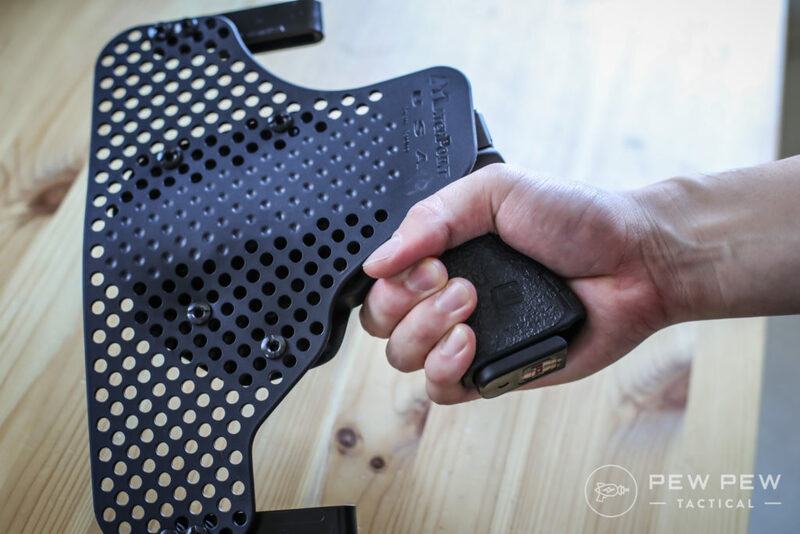 to better facilitate a better grip on the handgun. 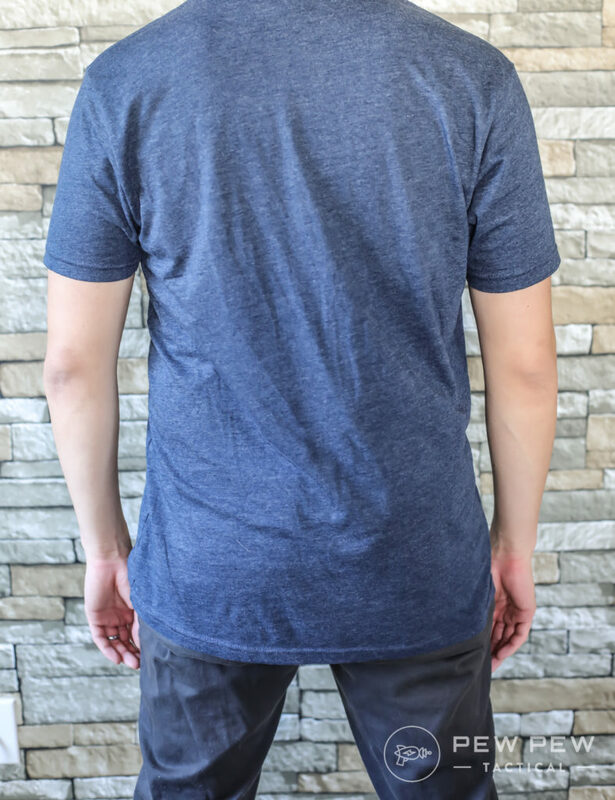 In your opinion, would this adjustment solve the issue with hand placement? 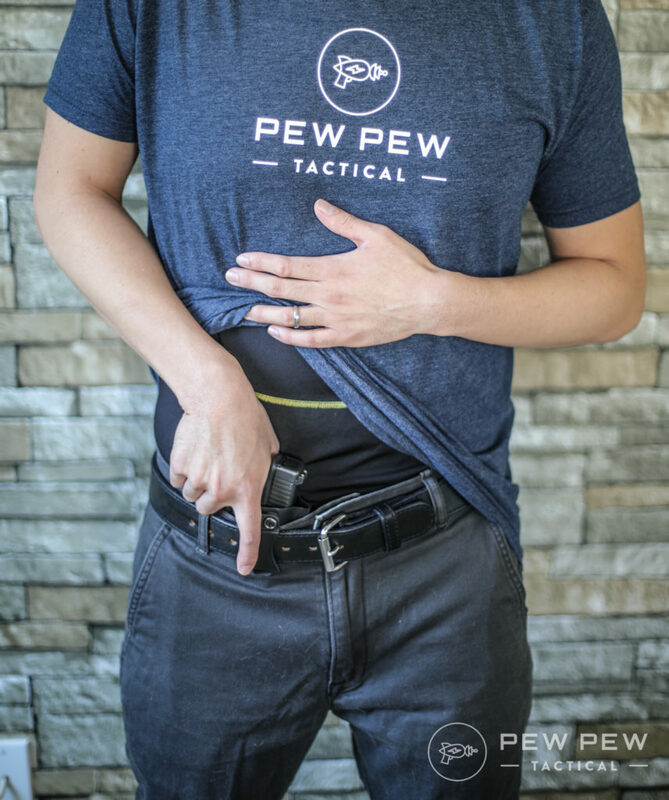 I have a Crossbreed SuperTuck for one of my handguns and I love it, but I am looking for a holster that is less bulky and less prone to causing sweat during summer months. I think you might be right! 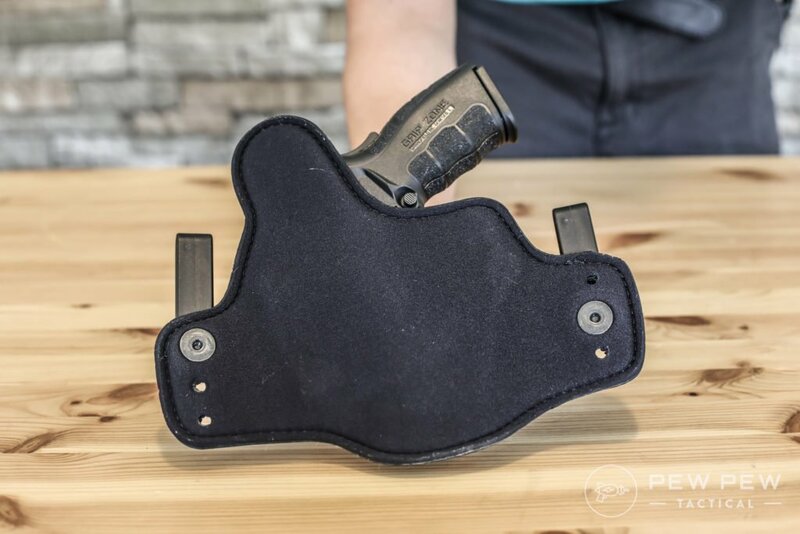 I can’t find more information on this holster…it’s not on Concealment Express’s site and the Amazon link to the backer doesn’t have any shells.